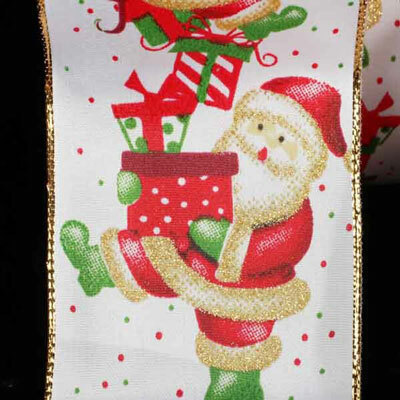 This whimsical Santa Ribbon is the perfect addition to your holiday decorating! Beautifully designed Christmas Ribbon with a Gold Wire Edge makes the perfect accent to all your designs. The Ribbon Diva offers a large selection of Christmas Ribbon perfect for gift wrapping, scrap booking and more holiday crafts.